Avoiding common moving mistakes can mean the difference between a stressful and a successful moving day. Since there is so much that needs to be done during the moving process, it can be easy to make little mistakes that make a big impact on your move. To ensure your move goes off without a hitch, remember these 10 common moving mistakes and learn how you can avoid them. Choosing a moving company is one of the most challenging and important tasks of your moving journey. It’s a common moving mistake to procrastinate the search for a reputable moving company and end up feeling unsupported on moving day. Finding a first-class moving company can feel like going on a first date. In both cases, you need to ask the right questions and determine if you’re a match. To find your ideal moving company, you should look for certifications that signify excellent service, ask questions that sort the professionals from the mediocre moving companies, and gather information about the moving services that are important to you. Our guide to choosing a moving company will walk you through the entire process. We even have a tool that can help. 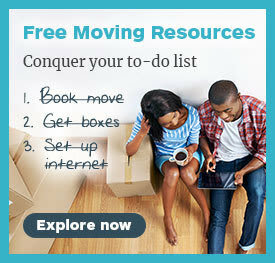 Check out our online find a moving company tool to help you find your next moving company. After you’ve found a few reputable moving companies, it’s another common moving mistakes to not ask for and compare estimates from them. Depending on the size or your home and the moving company, moving companies will either perform an in-home estimate to give you a quote or provide you with one online. 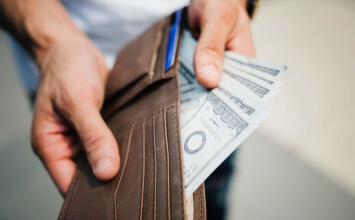 Accepting your first offer, or neglecting to ask for a quote altogether, could lead to you paying more than you should on moving day. The best way to find a great moving price is to compare at least three estimates. Once you’ve narrowed your search to top-notch moving companies, the estimates can help you make the final decision. Here’s an idea of how much your move will cost. It’s also important to prepare for your in-home estimate (if you’re having one) so that you get the most accurate moving quote from your moving companies. One of the most common moving mistakes is not knowing the right questions to ask a moving company on the phone or during your estimate. There’s a lot of information to clarify with your moving company about their services and the overall moving process that will help you prepare for your move. The best way to get to know a moving company is to know the right questions to ask. Divide your questions into two categories. Start with questions that will help you get to know the moving company and then shift to questions that will help you find the right services for your move. Here are 15 questions you should ask a moving company before choosing one. If you’re confused about moving industry terminology, reference this glossary of moving terms. One of the most costly, and common, moving mistakes is overpacking for the move to your new home. Not consolidating before a move is harmful on two fronts. First, it adds to the overall cost of the move and second, it creates additional work when packing and unpacking. To make your consolidation efforts run smoothly, incorporate downsizing into your packing routine. When you begin packing, make separate piles for items that can be sold, donated, or thrown away. Once you have your piles, host a tag sale, visit your local clothing drop off, and get the trash bags ready. Here are some tips for getting your fridge and pantry ready for moving day. When you have a long list of moving tasks it’s difficult to know where to start. An overwhelming list leads many to the common moving mistake of delaying the start of the moving process until the very last minute. Procrastinating adds to the overall stress of your move and can lead to overlooked tasks. In order to get your move started, it helps to create a moving checklist. A checklist will help you plan time-sensitive tasks, get ahead on your moving responsibilities, and keep everything organized. If you are on a tight schedule, check out our consolidated moving checklist. Once you have your checklist in place, check out some of our best packing tips. There are few things as frustrating as getting to a new home and having to open every box just to find your toothbrush. Not planning for unpacking is a common moving mistake that begins during the packing process. A little pre-planning when packing goes a long way when you’re unpacking. To help your future self unpack, use colored packing tape to designate each room and put a label that shows what type of items are inside. You should also pack a separate box with all of your essential items for your first nights in the new home. It’s no secret that forwarding mail with the postal service and transferring your utilities can be time-consuming. The trouble for people moving is that it’s hard to know when to begin the process and know how long it will take. A little inside knowledge turns this common moving mistake into a no-brainer. To ensure your mail arrives at your new home on time, begin the process of forwarding your mail a few weeks before you move. Indicate your moving date and that you’re permanently forwarding your mail on your change of address form. There are a few more steps to the process so reference this list of frequently asked questions that come up when forwarding mail. To transfer your utilities, talk to your provider when you know your moving date. You can plan your termination date to coincide with your last day in your old home and start your new service on move-in day. Here is some of the documentation you’ll need to make the switch. 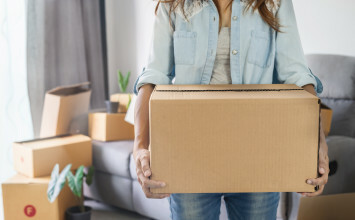 Whether it’s loading heavy items into cardboard boxes, scraping your new floor with a piece of furniture, or accidentally packing an item the moving company can’t take, there are plenty of common moving mistakes that involve packing. The good news is, with the right know-how they are easy to avoid. While there’s nothing wrong with cardboard moving boxes, they’re not the right tool for every job. After using them to pack lighter items, consider renting plastic bins for heavy objects. To avoid damaging your furniture or home during your move, use furniture blankets, felt pads, and stretch wrap to protect furniture, railings, and doorways. Your moving company may provide these materials. Finally, before you move, investigate which types of common household items moving companies won’t move. If you’re transporting alcohol or household plants you may need to transport them yourself. Moving insurance is one piece of the moving process that often gets overlooked. There are many different policies and coverage levels to choose from and putting off research about moving insurance is a common moving mistake. After your check your homeowners insurance policy to see if it offers additional moving insurance, you should look at your moving company’s insurance policies. There’s the basic released value protection, a full-value protection, or separate liability insurance. For more information about these policies and which works best for your move, check out our moving cost guide. After you move, it’s a common moving mistake to throw out receipts and documents from your move. However, these documents are necessary come tax season when it comes time to deduct your moving expenses. To keep your paperwork organized, create a moving folder to store all of the paperwork from your moving company. This includes estimates, your bill of lading, and receipts. When it’s time to file, see if your move met the requirements for a moving deduction. 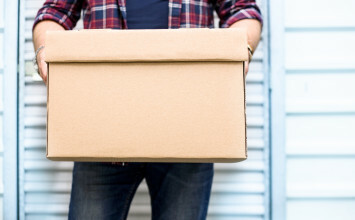 Staying on top of your moving process will take organization, stamina, and a few moving tips. And although the moving process can feel overwhelming at times, steering clear of these common moving mistakes will help keep your moving day on track.